Ami Bennett Agencies of Camas and Vancouver, WA, continues their community enrichment program by initiating a new charity campaign in support of the National Breast Cancer Foundation and their Mammography Program, which provides free mammograms and diagnostic breast care services to women in need. We want to help them reach as many local women in need as possible. Education about early detection, coupled with free mammograms, saves lives. Period. We are honored to help with that vital mission. Ami Bennett Agencies, a full service insurance provider serving families of Camas and Vancouver, WA, has announced the latest beneficiary of their ongoing community involvement program. The current campaign fundraises for the National Breast Cancer Foundation and their Mammography Program, which provides free mammograms and diagnostic breast care services to women in need. Donations may now be made here: https://fundraise.nbcf.org/events/2016fy-fundraisers/e53783. The National Breast Cancer Foundation (NBCF) was founded in 1991by a breast cancer survivor who was passionate about educating women on breast cancer and the importance of early detection. Breast cancer is one of the leading health crises for women in the U.S., with 1 in 8 diagnosed with breast cancer in their lifetime. At this time, there is no known cure, and early diagnosis is crucial to survival. However, with increased healthcare costs and the rapidly escalating number of women without health insurance, many can’t afford the cost of screening tests. NBCF inspires hope and provides help to millions by partnering with medical facilities in all 50 states to provide these women with free mammograms, breast care services and education. The Bennett team is hard at work promoting the campaign for NBCF through various channels, including featuring the campaign in their monthly magazine. Our Hometown is delivered to thousands of households in Camas, Vancouver and surrounding communities, and has reserved a full page to feature the initiative. The electronic Flipbook version of the magazine’s current issue may be accessed at: http://www.amibennettagencies.com/Our-Hometown-Magazine_46. 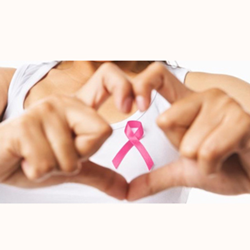 The agency itself has pledged to donate $10 to NBCF on their customers’ behalf for each and every recommendation they receive for an insurance quote, with no purchase necessary. Readers wishing to join Ami Bennett Agencies in providing mammograms for local women in need may view the campaign, recommend a friend or make a personal donation here: http://www.amibennettagencies.com/Taking-A-Stand-To-Fight-Against-Breast-Cancer_9_community_cause. Contributors may be acknowledged for their donations in a future issue of Our Hometown magazine. Committed to operating as Agents of Change in their community, the Ami Bennett Agencies’ recently launched master charity program will select a new local organization, family or individual every two months to receive support. Information on past initiatives supported by the agency may be found at: http://www.amibennettagencies.com/community-cause. To learn more about the agency, readers may visit http://www.amibennettagencies.com/. Serving families from offices in Vancouver and Camas, WA, Ami Bennett Agencies is a full service, award-winning insurance firm whose mission is simple: to provide the finest insurance and financial services in the industry, while delivering consistently superior service. Ami Bennett and her team of caring professionals believe in protecting all the things which are most important to their clients (their families, homes, cars and more), and in helping to prepare long-term strategies to enable financial success. The dedicated experts at Ami Bennett Agencies may be reached by calling 360-834-3992.